Eva Longoria & Rashida Jones Host National Domestic Workers Alliance's Oscars Viewing Party! Eva Longoria keeps it chic and sophisticated while hitting the red carpet at the National Domestic Workers Alliance’s 2019 Oscars Viewing Party held at The Jane Club on Sunday (February 24) in Los Angeles. 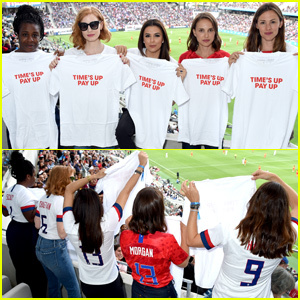 The 43-year-old actress were joined at the event by Rashida Jones, Karla Souza, June Diane Raphael and Tarana Burke. Inspired by the film ROMA, which won three categories (Best Director, Best Cinematography and Best Foreign Language Film) that night, the event celebrated the incredible success of the film in shining a light on and sparking a conversation about domestic workers in our country. “I’m very excited for the movie, for Alfonso, for Yatliza, they’ve already broken so many records and really have humanized the issue for domestic workers in a beautiful, poetic way,” Eva expressed at the event (via ET). 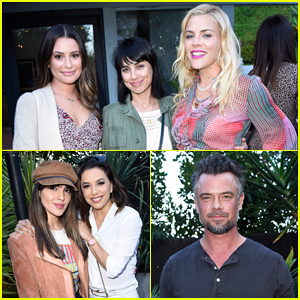 Lea Michele, Eva Longoria & More Celebrate 'Eat Clean Play Dirty' Cookbook Launch! Eva Longoria Has Her Hands Full With Two Shopping Carts! 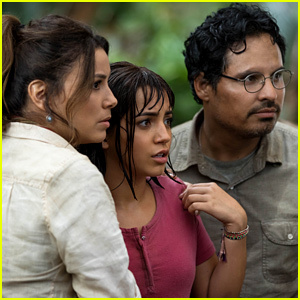 Eva Longoria, Sophia Bush, & America Ferrera Stun at 'Miss Bala' Premiere!